Dr. Reginald Noel marks his publishing debut with the release of “What the Bible Says About the Human Soul” (published by Trafford Publishing). In this incisive and insightful book, the author talks about the teachings of Jesus Christ and how it relates to spiritual concepts like the soul. 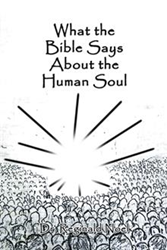 “What the Bible Says About the Human Soul” discusses core Christian concepts such as the soul. It answers a lot of questions about the human soul, examining it in light of the Bible and Jesus’ teachings. The main message of the book is that Jesus Christ gave himself to humanity in order to save people’s souls and thus let them spend eternity with God in heaven. “What the Bible Says About the Human Soul” is a timely read for anyone looking for a fresh perspective on Christian concepts and spirituality. Dr. Reginald Noel was born in Guyana, South Africa, and became a born again Christian about 54 years ago. He experienced miraculous healing after an accident left him suffering from seizures almost daily. Noel has served as a pastor and volunteer chaplain for prisons and hospitals. He currently considers being an author his main calling.